The best way of moving a product from A to B is normally a hose. But what is the best way of getting the hose itself from A to B? One way is to pull the end of the hose in the desired direction and to hope there are no problems with hose wear from dragging it across the ground, that it is not bent or twisted on the way and that when the connection is made the hose will be within its permissible bending radius. The other way is to use an SGA hose loading arm. Loading and unloading chemicals between a tanker and a fixed installation is always associated with higher risk for staff, materials and the environment. A loading system like the SGA in conjunction with modern safety fittings is the way to optimise loading safety and efficiency. 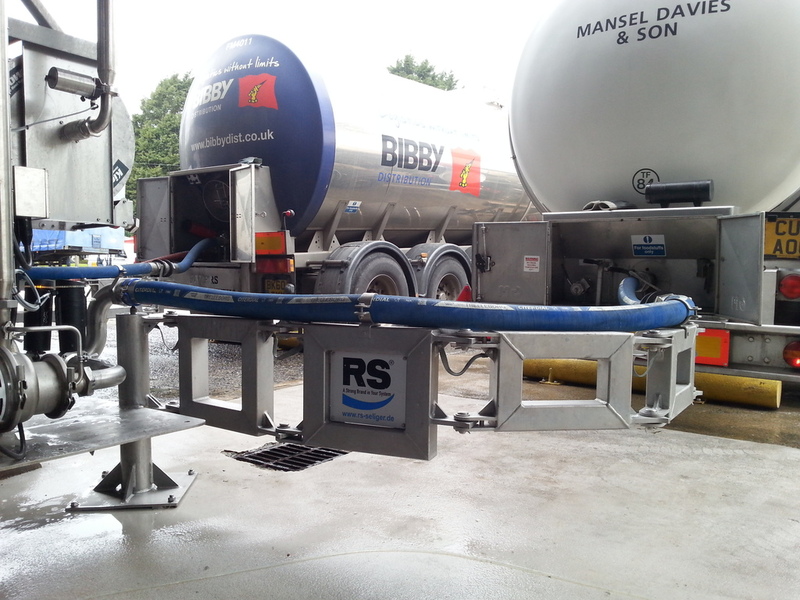 The SGA hose loading arm was originally designed to make handling easier when loading chemicals into tankers. A flexible arm bears the weight of the hose and the product it contains and carries a vapour return line or a power supply cable. It protects the hose from excessive loads and forces and is also suitable for heavy or heated hoses and fittings. The special joint mechanism makes it impossible for the bending radius to go below the minimum safe limit and extends the hose life. Each SGA hose loading arm is made to measure for a particular application and conditions of use. Contact us for more information or to arrange a site survey from one of our National Sales Managers.